3-3 Whilst the Lord Naoshige was warming his feet in a Kotatsu he said to his wife, Indeed it is very cold. Even with this Kotatsu is still nearly unbearable. How are the less unfortunate spending the night? His wife replied. Farmers do not have a Kotatsu but they can burn straw. I wonder who is most affected by the cold? Thinking about it she decided that is was the prisoners who were most affected. The prisoners are not allowed to make fires, they had no walls, are ill clad and poorly fed. Naoshige said, I feel sorry for them. Inform me how many are imprisoned as soon as possible. The order was given to an official and a sudden check was made around midnight. No one knew what was happening and officials were standing by in the office. After the Lord had received the check he had kitchen staff cook rice-gruel, made them go to the prison and feed the inmates. They wept with joy and enjoyed the food I hear. 3-9 The Lord Nabeshima was very caring towards a new helper. One day the old retainers met him by arrangement and said to him, Why are you being so good to this person? Although we make strenuous efforts you do not seem to treat us so well. We do not consider he would be of much use in a stormy situation. So why on earth do you treat him so politely? Naoshige said, Indeed it is as you say. He would be of no help in times of need. But as I encourage him it helps him work with ease. I always have him wash my backside. I cannot let you do that, but I will count on you in case there is a battle. The castle itself is a plains castle. These are some of the walls that surround it. 3-21 A man and a woman from outside the castle defences were tried for adultery and put to death. It is said that after this their ghosts appeared. The maidservants were afraid and would not go out at night. They called upon the Lady Naoshige. She instructed a certain man to hold a memorial service for the deceased, but this did not seem to work. She told her husband who said, I am pleased. It is good that stubborn people who cannot be satisfied with just having their heads cut off can not rest in peace after death. Well ghosts that will not be laid to rest will never receive enlightenment. After that night the ghosts never appeared again. 3-22 When the Lord Naoshige went to a place called Chiguri, someone said, There is a man in this village who is about ninety years of age. He is a happy man with a long life. Would you like to meet him? Lord Naoshige replied, No one could be more unfortunate than him. He has watched some of his children and grandchildren die before him. How can he be so happy? Naoshige never did meet the man. 3-41 Naoshige Nabeshima said, What I am not satisfied with is useful to me. He would often say this to others. 3-48 Before the Lord Nabeshima retired to bed he would call his old retainers in to the anteroom and give them tea and tobacco. He would ask them to tell stories to one another. He would ask them points of doubt as he retired and listened to their stories from behind his closed doors. 4-12 A story by Kanamaru San: Lord Katsushige asked his chief, Who is the most helpful among the falconers? The chief answered, That one over there is not useful because of his laxness, but he is a master of the hawks. The other one is not a master of the hawks but is useful. The former one was given a prize, the latter dismissed. 4-41 Whist the Lord Katsushige was hunting at Shiroishi he became cold. He went into a farmers house as he wished to get warm. An old woman who was burning some straw said to him, It is especially cold this morning, please warm yourself. After a while he thanked her and went out. Just as he was leaving he trod on rice scattered in the garden to dry in the sun. Seeing this the woman became angry and hit his foot with a broom saying, How wasteful! This rice is for the prince. 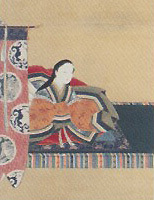 Katsushige begged her pardon, and returned home. He was very impressed with her action and later gave her a special honour. 4-42 When the lord was hunting in Shiroishi, he shot a big wild boar. All the men watching ran to him saying, You have shot an unusually large animal. Suddenly the boar not yet dead got up and started to run off. The onlooker ran away in surprise. Matobe Nabeshima quickly despatched the animal. At this time the Lord covered his face saying that he had some dust in his eye. In truth he had not wanted to see his men running away. 4-56 Lord Katsushige had said that there were four types of domestic. There were the quick and slow, slow and quick, slow and slow and quick and quick. The latter was a man who worked well and soon understood when instructed. This was of course the best type and there were few men of this calibre. Kitchizaemon Fukuchi was of this type. Slow and quick was someone who finished his task quickly when forced to do something. Kazuma Nakano is of this number. Quick and slow were the type that took a long time to work although they understood what they should do. The rest were just slow in everything! 4-60 The Lord Tadanao sent a message to his father Lord Katsushige. However a man made many mistakes in relaying the message so his duty was not fulfilled. 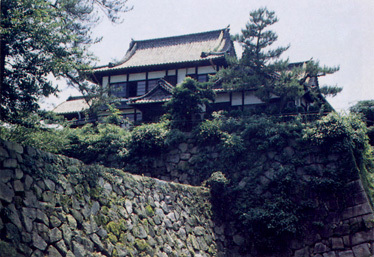 Tadanaos advisors suggested that he reprimand the man as he was irresponsible. But Tadanao sent the man again, this time repeating the message over and over. This time he did his errand without making a mistake. Tadanao gathered the elders and said, As I was uncommitted in some of the things I said, and he misheard me. This time my explanation was good enough for him to easily understand. Therefore it is I that should take the blame He was not at fault. 4-66 Lord Katsushige said to his principle retainers. I recall and will tell you that my father Naoshige used to tell me how to decide judgements and on how to decide whether or not have people executed. Also matters of law suits and trial. But he had said on such an important time you must never drink sake. Sake is of no use at all! 5-13 A story by Mr. Kanamaru ; Lord Mitsushige was so merciful.. He had always considered that the lower classes should never feel distressed under his government. Mr. Genshu Hotta once came to Nabeshima as a server. There was a monthly Tanka (31 syllable poem) gathering in the building. Genshu Hotta, Sogin Fujimoto and Josei Onda were in the anteroom. When Hotta saw fireworks going up near Mizugae, he told the others about it. Overhearing this Mitsushige came into the anteroom and said to Hotta, You should but perhaps don't know about the prohibition. We have to be very strict about fire precautions. Do not tell anyone else anything about this evening. You will have to be punished if it becomes public. Pretend what you have seen never happened. Genshu shed tears of happiness saying, There is no Lord I could respect more than you. Will you please take me into your service. I would accept whatever rice ration you consider befitting. Genshu would become his retainer. 5-37 When Lord Naoyuki of Settsu was on his way back to Nabeshima, he passed through the town of Imashiku. Whats that building, he asked? Thats the prison my Lord, a retainer said. The temperature is too high today. Without doubt they will be suffering pitiably in that building, he said. As soon has he returned to Hasuike he asked a retainer if any men were in prison in that area. The retainer said there were two men imprisoned at Shiota. The Lord said, I have been considering a lot since seeing the prison in Imashiku today. As Lord of a main feudal domain, one has no choice but to execute justice. However, it is unpleasant to keep people suffering like that. It is distressing. Let them be set free as soon a possible. 5-44 While the Lord Mitsushige was preparing to go to Edo, a retainer who was also a close friend said to him, You dont like the preventative medicine for smallpox. Is there a special reason for this? Mitsushige promptly answered, Tadanao my father died from smallpox and it did not help him. I hate anything related to it like it was my fathers enemy. 5-52 This is a story related to me by the priest of Kodenji Temple: One day Lord Naoyuki of Hasuike visited the temple to relate a start to the priests. He said he would like some tocha (tea) and Tofu (beancurd). The temple family gave him what he asked for. He said, Before I start to talk, I think my attendants should take a leisurely rest as you might find my talk long and tedious. 6-11 When Mondo Nabeshimas wife had a baby, he asked Lord Mitsushige to name him. The Lord said, A new-born baby should be named by his parents. First you had better call whatever you like. After that I will give him a name. So, Mondo called the baby Mangoro. 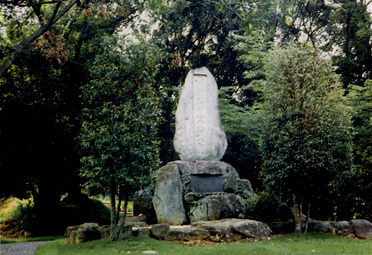 Later Mitsushige named the boy Kamon. 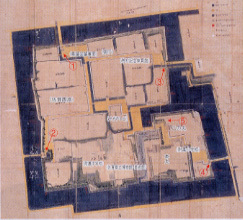 Above is an old map of Nabeshima Castle and the surrounding moat. 6-13 The fourteen year old son of a sandal carrier went to Isahaya (a town in Nagasaki Ken) with Tonerinosuke Nabeshima. He killed Chugen Ishima of Isahaya, the person he was sharing a room with. This boy was always careful in his conduct, so his life was spared. At that particular time he earnestly thought that, Though I am only born a human being, it is regrettable that I shall die without handing down my name for posterity. Decidedly I should have planned to conquer the whole country. After thinking all night he came upon a feasible plan but unexpectedly thought of other things. I am bound to conquer the whole country but this will bring me troubles beyond expectation. In addition to that if I should I conquer it will be no use ending my life with troubles. I would rather enter Nirvana after becoming a priest. Later on he trained in the Shingon Buddhist sect and was said to be an ascetic. He became a famous priest in Japan. 6-39 The priest Tannen used to say: A monk can master the teachings of Buddha when he is compassionate and stores courage in his heart. The Bushi can only fulfil his duty if he is courageous but withholds mercy and compassion until his heart feels as if it is going to burst. Therefore a monk must learn courage from a warrior, and a warrior must depend on a monk and learn to be merciful. 6-134 Regarding the penalty of the Ikko sect in the western parts of Nabeshima Castle: After a most decisive battle (at Sekigahara), Lord Katsushige ordered the Ikko sect (a Buddhist order) on his land to join the Nishi Hongwanji Temple. As there had been trouble Naoshiges wife and children were left in the charge of the temple in those days. Several other orders were against this plan but obeyed when Lord Katsushige commanded them put to death. On this occasion he was so angry he said that the sect should be executed without fail. 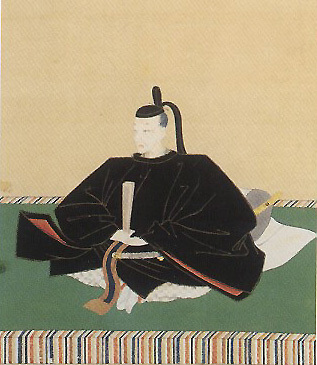 The command was eventually rescinded, but in return Katsushige ordered them to pay an annual fine of Ginsu, the monetary standard of that time. 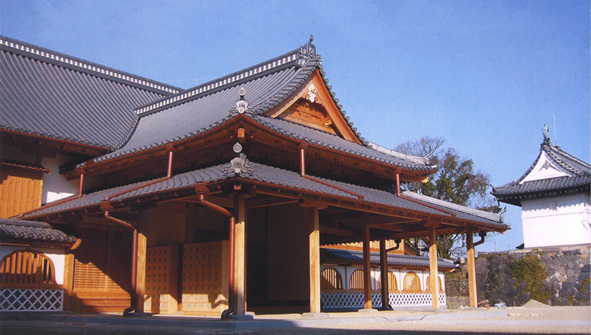 The ginsu was collected by the Gansho Temple (Ganshoji) which the Lord had built as a return gift to Nishihongwanji (main temple of the Jodo Shinshu Buddhist order in Kyoto). (Translators Note) Kumagai San the priest of Ganshoji related me that this fine is still paid and presented every year to Nishihongwanji as a gift for fuel expenses. From the Seventh Article 7-1 Hyogo Naritomi said, To conquer is like conquering our allies. To defeat our allies is like defeating ourselves. We must overcome ourselves so that our energy becomes our strength. Until we can train our minds and bodies so that we can master ourselves among our allies, will never be able to conquer our enemies. From the Eighth Article 8-0 Generally it goes without saying that you should be determined not to suffer defeat at a feast. If you drink until you are dead drunk and disgrace yourself, you will be past redemption One can never drink heavily without causing a lot of trouble. It is best not to drink with firm resolution. If a noisy argument occurs and you leave the party while it is still going on it will be forever troublesome. At times like this you should quickly define your position. When the men quarrelling are fellow associates your are put in an awkward position and must not be afraid of future problems that may occur. Also you should not let an associate be clothed in shame. I is best to let them fight it out if need be. Usually people only talk of fighting, but it still impresses you that you should put an end to the situation. Anyhow all Bushi do this, as it seems a gallant thing to do, regardless of whether or not it their concern or not. 8-110 After expending all your efforts in life and no longer being required in the service of ones Lord, seppuku is a most fitting end. It is regrettable to die in an insignificant way. It would be wrong to die pursuing ones own self interests. One should die in strong resolve and a decisive manner in the service of the Lord. 11-74 Nobutsuna Matsudaira said to Kenmotsu Mizuno, You are useful but it is regrettable that you are so short. Mizuno answered at once, It is as you say, But the world does not always go as we wish. If I was to cut off your head and put it under my feet I would become taller. Sometimes all that we wish for does not turn out as we expect it to. 11-96 A man who looks intelligent does not come to the fore even if he does good. People think him discontented, even if he does like other people. To the man who looks gentle, doing only a little good will earn him admiration from people. The rebuilt Saga plains castle.